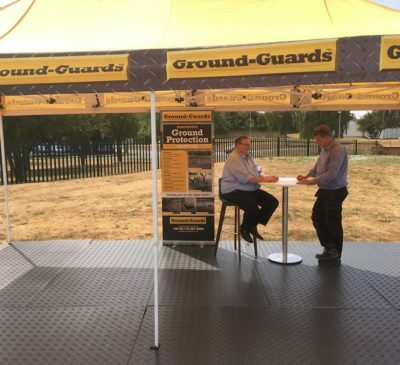 As a cost-effective alternative to using plywood, Ground-Guards’ latest mat, the BudgetMat, is ideal for light and medium duty applications. 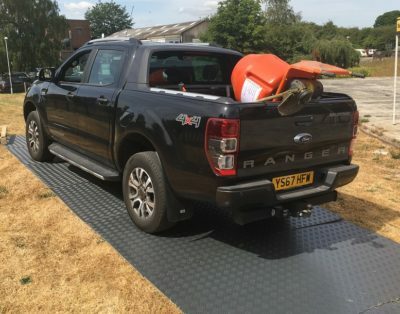 Popular on building sites for its ease and convenience, BudgetMat won’t bend or blister like plywood does, maker it a safer option for creating temporary roadways and footpaths. Weighing only 32kg, BudgetMats are light to carry and quick to lay by hand, saving time and effort on site. The solid panels, made from LDPE, are flexible to follow ground contours, which is important to protect turf and create a safer working base. 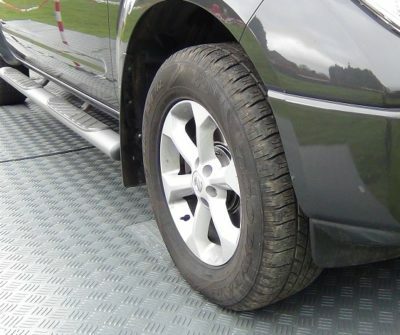 As such, the mats are often used at events, as their checker plate tread provides extra surface grip which is perfect for creating event flooring. 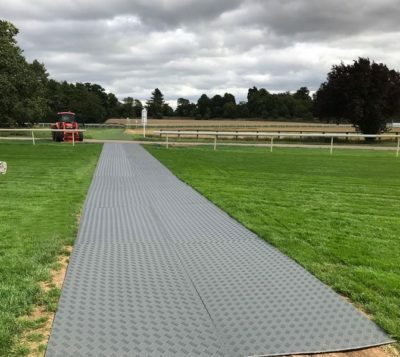 One customer uses them on the Race Course to create a temporary crossing point across the race track, protecting the turf from maintenance vehicles. There are many applications for BudgetMat, such is its versatility. And at only £49.99 per mat, it is the cost-conscious system that anyone can afford!